Heat pan to high, add vegetable oil. Once heated add onions or shallots. Cook until clear. Add tomatoes and cook a few minutes. Lower heat to low/medium and add tilapia and cooking wine. (As an option you can add a tiny bit of rice vinegar for a more intense/different flavor.) Cover pan and cook on low/medium for ~10 minutes. 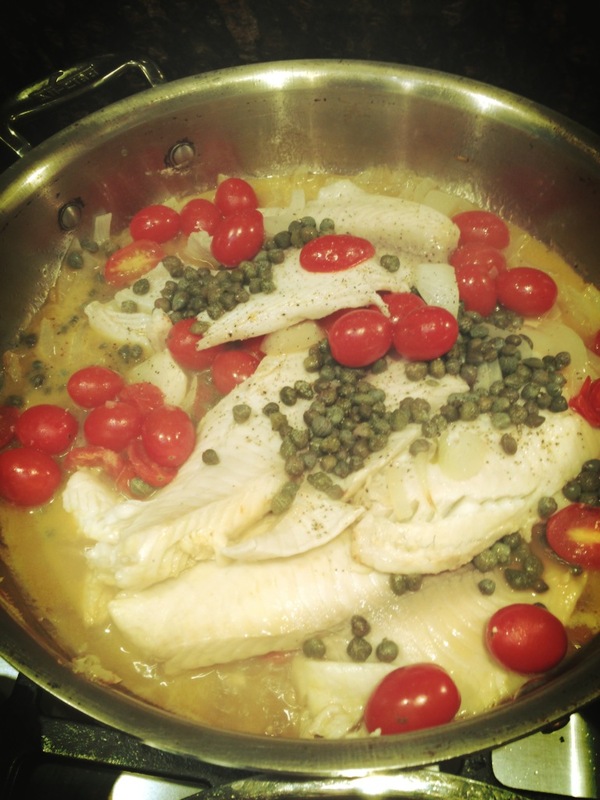 Add capers in 1/2 through. Keep cooking until fish turns completely white. (~15-20 minutes max.) As desired add salt, pepper, fresh lemon to taste.